This view from Badlands Park overlooks Laguna Beach far below. I arrived at dawn, just as the sun was cresting the hill behind me, lighting the top of the tree while the rest of the landscape remained in shadow. The early morning light also created the rainbow glow on the horizon as it hit the smoke over the Pacific from wildfires just to the north. 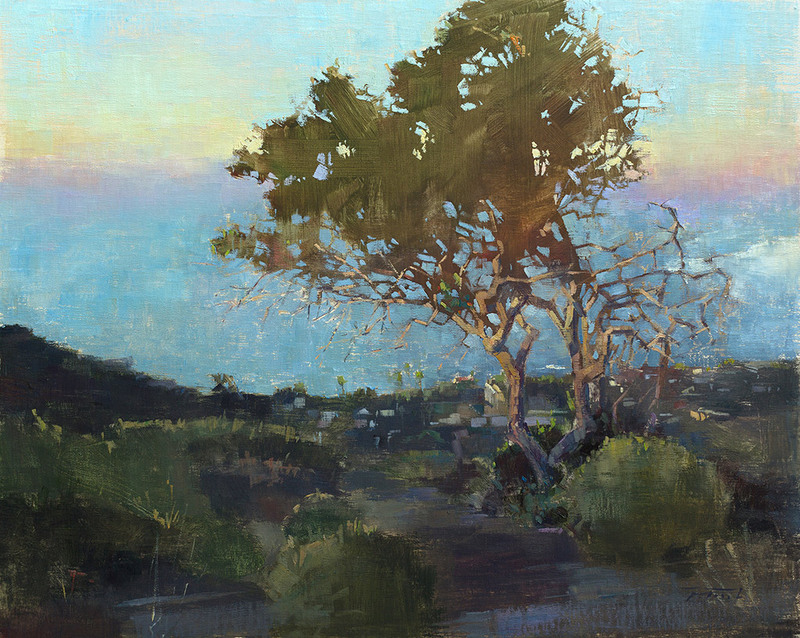 This painting is featured in the September 2018 issue of Southwest Art magazine in a cover story about my journey as a plein air painter.